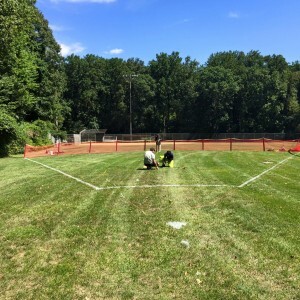 WIFFLEBALL RETURNS! See you Sunday! 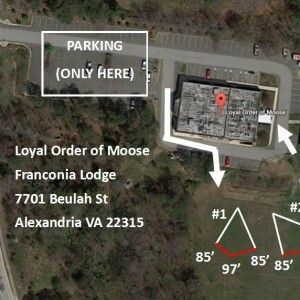 We will have wiffleball this Sunday at our new digs at the Royal Order of the Moose in Springfield, VA.
You can also see just your teams complete schedule on the teams page. As his way of apologizing for the way this season has kicked off former Commissioner Gallaway has hired some of the lodge folks to grill burgers, dogs and serve beer, all on the house. Since there are three games to cover whenever possible we are going to try put teams on whatever field is available when both teams are so be ready for that. The Governor of the Moose and the club manager will be both stopping by the fields Sunday so let’s be sure to pick up all of our trash and be friendly to any folks that come over. They’ve been great to work with and we’d like to keep this going so leave your beer at home (it’s free this week remember), pick up your trash and pretend you’re meeting the future in laws. Commissioner Hudson is making an undoubtedly futile effort this week to get rid of his pasty complexion so Stephen Crawford and Michael Burns will be serving as deputy Commissioners Sunday. It is with a heavy heart that I have to announce we will be postponing the Week 3 games. Issues at Ossian have led us to look elsewhere now also. We will be moving fields… again. To accommodate this, I wanted to postpone the games and hit reset. The new fields we are solidifying are a bit further, adding an extra 5-10 minutes of driving time to our commutes. We are working on the details and everything with them. Have a look for yourself, 7701 Beulah St, Alexandria, VA 22315. 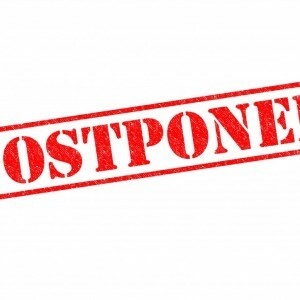 With these two postponements come schedule changes. To make everything still finish on time, we will make Super Sundays where each team will play 3-4 games (possibly expanding to 3 fields). Our possible “Field of Dreams” is still our targeted goal, but the Summer season is temporary. If you think it’s messy, you have no idea. Keep an eye on Twitter, Facebook, and here for more updates. In a tough series of events, Commissioner Hudson has decided to postpone week 2. A make up date is being worked out, deciding between using the rain/make up date (October 10th or 11th), or combining the games into a massive 4 game week. Talks with the managers will help decide this. Please stay tuned, I’ll be in touch with your managers with any updates as I get them. A lot has changed since the end of the Spring 2015 season. First — Chris Gallaway retired after 20 seasons. His passion and leadership have helped pave the way for the league to continue. And continue it shall. Second — we are no longer playing at Gravelly Point. Maybe you’ve heard, but things didn’t end so well there. We instead will be playing at Ossian Park in Annandale. Lastly — Greg Hudson is the new commissioner. I have already enacted a few changes (as you can tell) but I can tell you I am focused on making this league continue in the best possible form. With our current fields at Ossian, we have a real chance to setup something permanent. Our very own Field of Dreams. I’ll be there all day Sunday so feel free to come talk to me about anything. Leave some time for traffic, get there early to get comfortable, and let’s have some fun on Sunday! Make sure you’re following us on twitter @potomacwiffle for any updates. Weather right now will be a little warm, 93, sunny, no rain, light wind. Bring some sunscreen. Greg Hudson was elected as the 2nd Commissioner of the Potomac Wiffleball League. 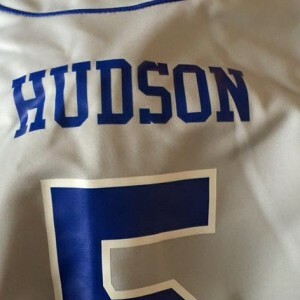 The Summer 2015 Managers voted 8-0 to elect Hudson. The term of Commissioner is for two years, and is elected between the Spring and Summer seasons. Only 3 people signed up for Spring Training this Sunday, so we’re cancelling it. The field will be open and available if anyone wants to practice there anytime on Sunday. However, we won’t be setting up the equipment. The PWL is moving! 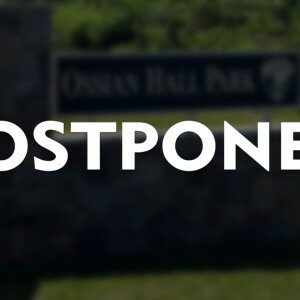 For the Summer 2015 Season we are relocating to Ossian Hall Park. 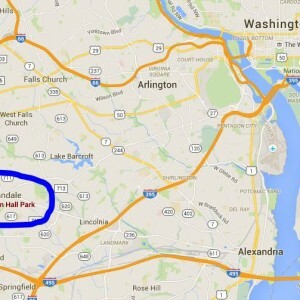 The new fields are a 25 minute drive west of Gravelly Point. This is a one season commitment, until a long term home is found for the 2016 Season and beyond. The PWL is working to finalize a partnership with Fairfax Adult Softball, the largest softball organization in the country. 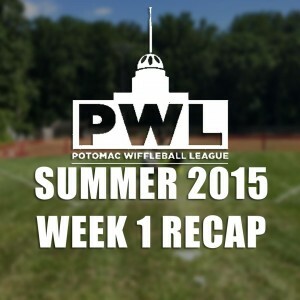 FAS is interested in developing winter, and weeknight wiffleball options in the DC area in the future, and has expressed interest in partnering with the PWL in both the short and long term. While we are exploring options around the entire metro area for long term fields, a potential partnership with an organization with the connections and field access as FAS has could be a tremendous advantage in this search. Any players who have registered for Summer who don’t wish to play at the new field location will be given a full refund. Just email commissioner@potomacwiffleball.org to ask for one. But, we strongly encourage everyone to join us this Summer. We are extending the deadline to register for the Summer Season to this Sunday! Please get your teams and players registered. Or, come out to Spring Training, see what it’s all about, test out the new fields, and then get everyone signed up! We’ll be hosting a “Spring” Training this Sunday, August 9th, from 1 PM to 3 PM at the new fields to give people a chance to take some hacks, and test out the new setup. Please make plans to join us to work out the kinks, mostly in your swing. Please RSVP on Facebook so we know how many to expect. Everyone is welcome, you don’t need to have a full team. We’ll take batting practice and then do some pick-up scrimmage games. Hope to see you this Sunday at 1 PM.